I did not use my Fujifilm GA645Zi for nearly two years. Either one is bad enough on its own, but combine the two and I really need to do some penance to the Analog Gods. 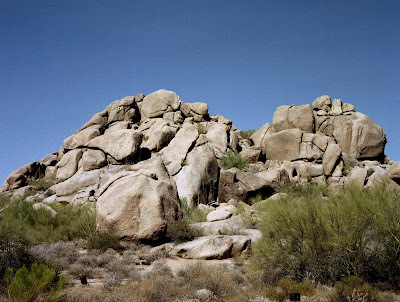 Anyway, it is a nice image of the boulders in the Sonoran Desert outside of Phoenix Arizona.